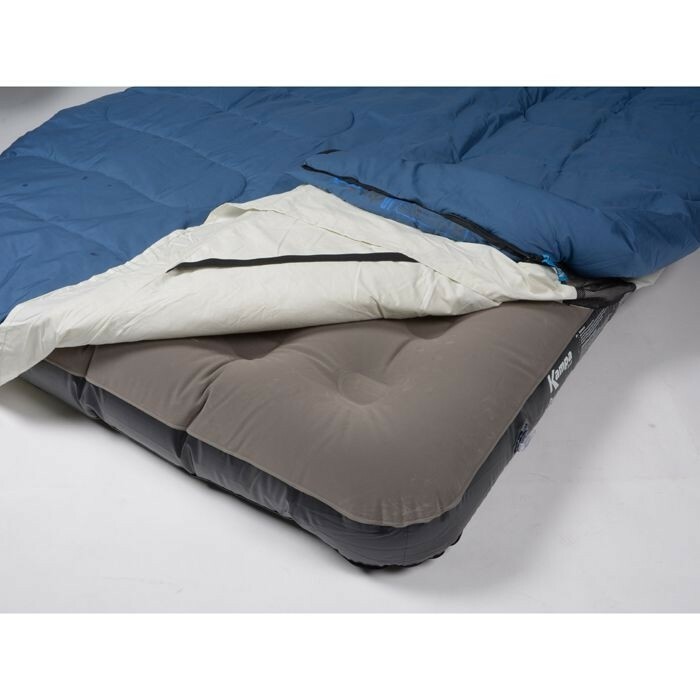 A double sleeping bag that can separated to create a single. 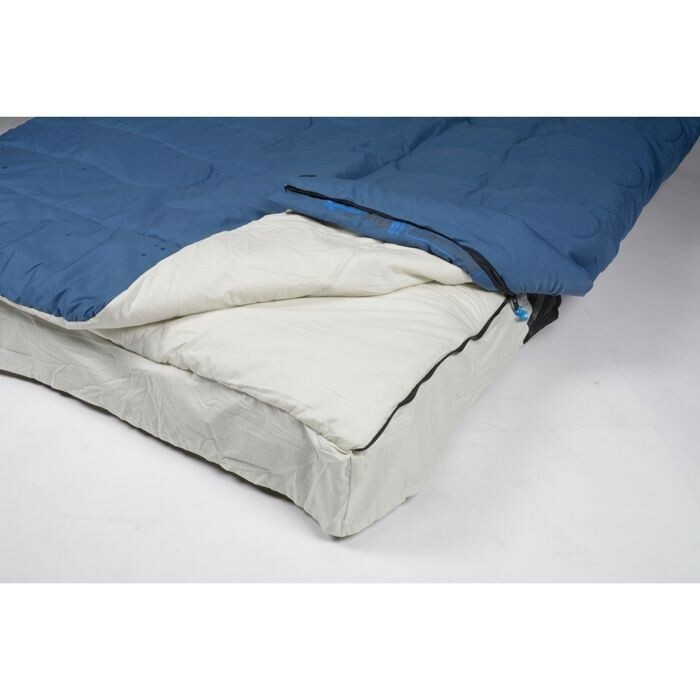 In its double format, the bottom layer acts like a fitted sheet and has elastic straps at each corner to keep it in place. 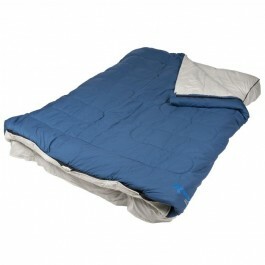 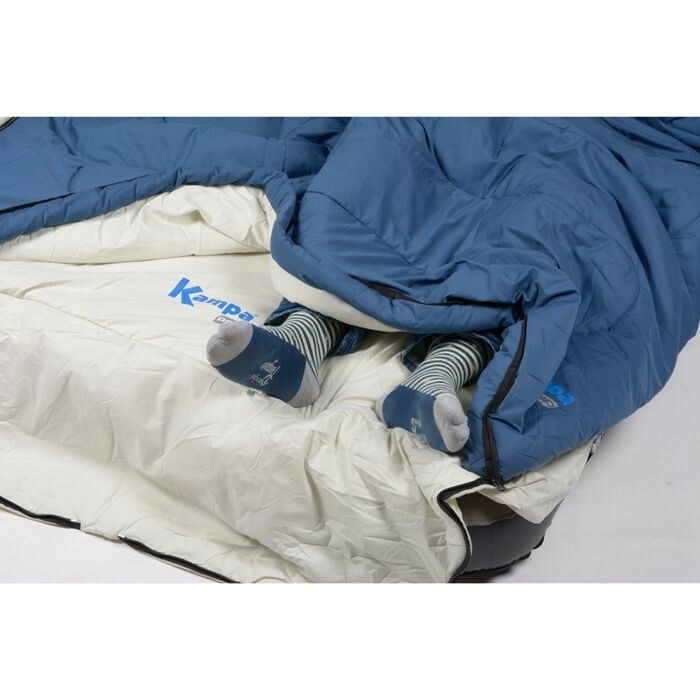 The top is essentially a sleeping bag that can be used loose, like a duvet ,or zipped into the bottom sheet. 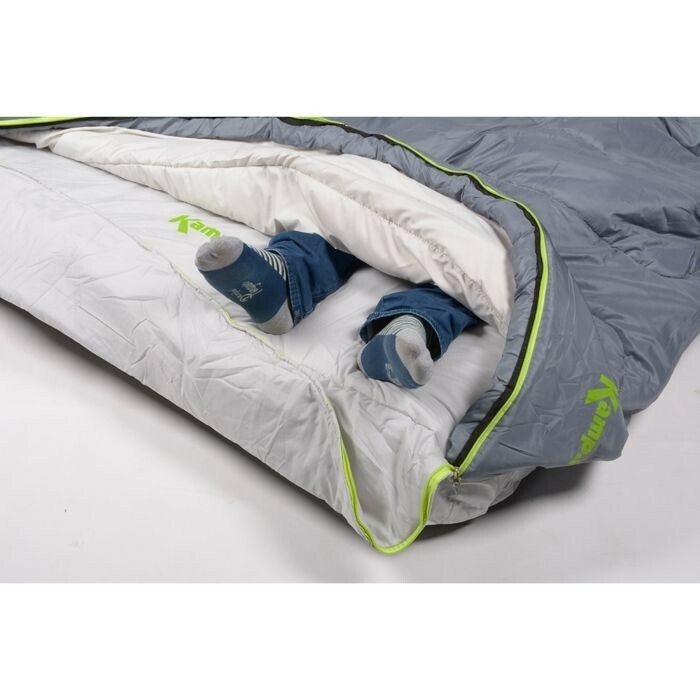 The bottom of the bag can also be unzipped for ventilation.